The HDPCA2019 exam is built on HDP 3.1 and Ambari 2.7. Hortonworks has redesigned its certification program to create an industry-recognized certification where individuals prove their Hadoop knowledge by performing actual hands-on tasks on a Hortonworks Data Platform (HDP) cluster, as opposed to answering multiple-choice questions. 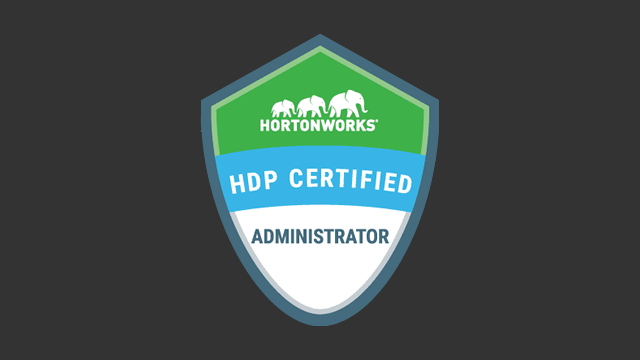 The HDP Certified Administrator (HDPCA2019) exam is designed for Hadoop system administrators and operators responsible for installing, configuring and supporting an HPD cluster. The cost of the exam is $250 USD per attempt. The purpose of this exam is to provide organizations that use Hadoop with a means of identifying suitably qualified staff to install, configure, secure and troubleshoot a Hortonworks Data Platform cluster using Apache Ambari. The exam is based on the Hortonworks Data Platform 3.1 installed and managed with Ambari 2.7. The HDP Certified Administrator (HDPCA) exam is 2 hours.